Cancer is not just one disease but it is group of diseases that are being involved in abnormal growth of the cells, which are the building blocks of the human body. It has the potential to spread to other parts of the body. There are more than 100 different types of cancer. Most of them are named from where they start in the body. Lung Cancer, Breast Cancer, Skin Cancer, Blood Cancer, Colon Cancer, Prostate Cancer and Lymphoma are the different types of cancer. The spread of cancer from one part of the body to another is known as metastasis. The different cancer stages define how deeply it has been grown in the nearby body tissues. Possible early signs and symptoms of cancer may include a lump, abnormal bleeding and pain in the body part, prolonged cough, weight loss and change in the bowel movements. It has been rightly said, “Early Detection is the best protection”. The early the disease is being diagnosed and treated, the better are the chances of it being cured. Some types of cancers are being detected by self-routine exam whereas the others are being detected only when some tumor is being felt or when other symptoms develop in the body. Also, sometimes cancer is being detected as a result of evaluating or treating other medical problem. 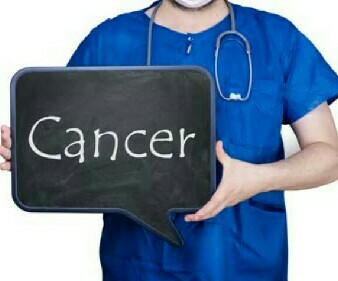 Symptoms and cancer treatment depends upon its types and also upon the severity of the disease. A few cancers are curable, like several leukemia and lymphomas, which are curable with chemotherapy and radiation, and other solid tumors like breast cancer, blood cancer that are curable with a combination of surgery, radiations or a chemotherapy. But unfortunately, cancer at an early stage is still curable rather than a metastatic stage IV cancer. The unexpected journey of cancer often brings exhausting emotional challenges and financial burdens. Keeping hope is the natural healing process of this disease. The Cancer Awareness Measure provides the set of questions, which have been designed to reliably assess awareness of cancer among the general population. It includes questions on warning-signs, symptoms, help seeking, risk factors, cancer and age, screening programs and also about the types of cancers. Getting involved in spreading the awareness and supporting the people might help to optimize the impact of cancer. Recently, governmental institutions and agencies, non-governmental and charity organizations have laid more emphasis on improving health standards, promoting early detection, providing comprehensive treatment and also on providing support for cancer management, screening and rehabilitation. All such actions have resulted in the early detection of cancer thus resulting in improving survival and quality of life of Indian Cancer Patients.